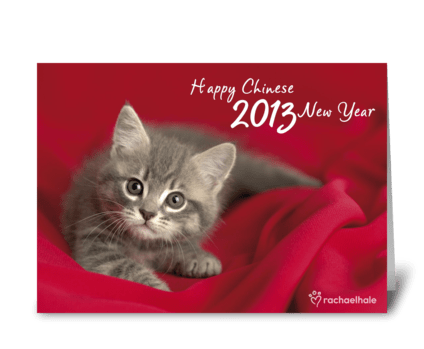 Whether it be the year of the dragon or the year of the mouse, Chinese New Year is always a time of great fortune – and great fortune cookies. 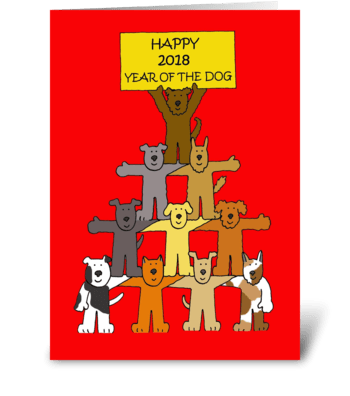 Chinese New Year is a 15 day celebration during which people of Chinese ancestry let the good times roll by cooking up plenty of eggrolls and by sending Chinese New Year cards. 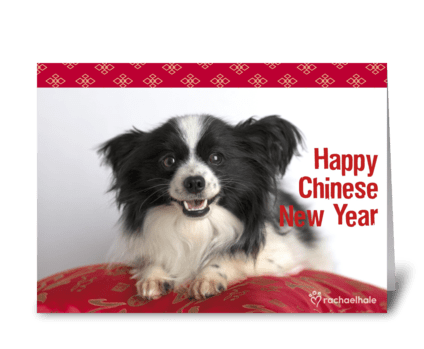 Chinese New Year is observed with impressive celebrations within China, as well as internationally in cities like San Francisco, New York, and London. While the food may leave you hungry in an hour or so, the celebrations will stick with you forever. 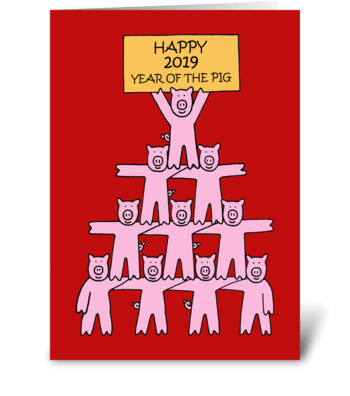 But don’t forget to send a Chinese New Year card or greeting to friends and family – just make sure to send it in an envelope and not a fortune cookie. 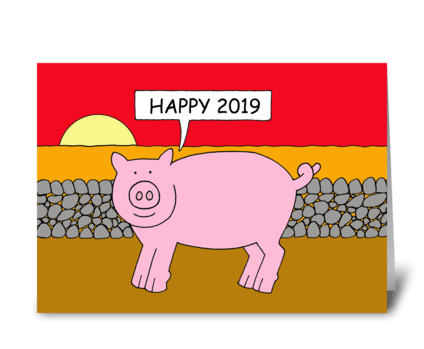 The history of Chinese New Year goes back to ancient Chinese mythology. Chinese villagers sought to avoid attacks from the giant monster Nean, who like most monsters had a big appetite and a bad temper. Eventually they found that by leaving a small child dressed entirely in red, the beast would lose interest. The villagers were so happy that this highly improbable strategy actually worked that they created a 15 day celebration to commemorate it. 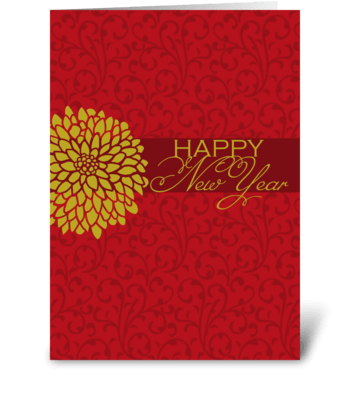 While you don’t have to send a Chinese New Year card on each day, it’s a great idea to send a few to friends and family during the new year celebrations. Today, the holiday is celebrated with songs, dancing and a healthy dose of “Gung hei fat choy”. The traditional festival begins with a family dinner, during which some believe it is bad luck to use knives – though it is still possible to use very sharp chopsticks. 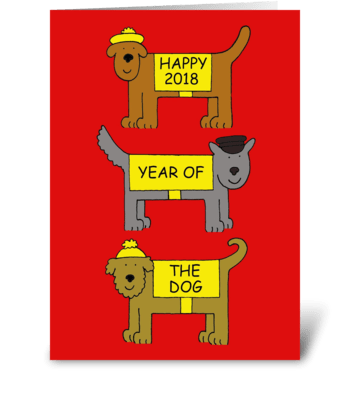 Each of the following days of the celebration is then used to honor varying figures in Chinese mythology, or to visit specific family members. At the end comes the traditional “Lantern Festival”, in which friendly spirits are invited into the homes of each family with candles, colorful lanterns, and if that doesn’t work, tasty rice dumplings. 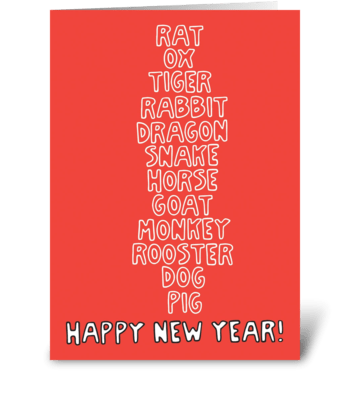 With all of the family-related celebrations, it’s always a good idea for those too far away to visit to send a Chinese New Year card or greeting, though you probably shouldn’t put “in bed” at the end.